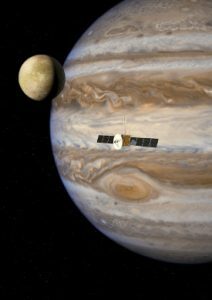 The European Space Agency’s JUICE (JUpiter ICy moons Explorer) mission has been given the green light to proceed to the next stage of development. This approval is a milestone for the mission, which aims to launch in 2022 to explore Jupiter and its potentially habitable icy moons. JUICE is the largest mission planned for the exploration of the Solar system in the next 20 years. The Principal Investigator and responsible for the “Radar for Icy Moon Exploration” (RIME) instrument is Lorenzo Bruzzone of DISI. Under the leadership of Prof. Bruzzone, RIME will be developed as a cooperation between Italian Space Agency and NASA. RSLab has a major role in the mission as Prof. Bruzzone is the Principal Investigator of RIME (Radar for Icy Moon Exploration). RIME is a radar sounder designed to penetrate the icy crust of Europa, Ganymede, and Callisto (Jupiter icy moons) to a depth of about 9 kilometers. RIME will allow scientists to see for the first time the underground structure of these tectonically complex and unique icy worlds and could lead to the direct detection of subsurface water, which is one of the basic ingredients for the identification of life on the Jupiter moons. 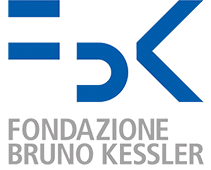 Prof. Bruzzone is one of the invited distinguished scientists involved in the Summer School for PhD students that will be held on October 25-26 in Johannesburg. The school is jointly organized by the IEEE Geoscience and Remote Sensing Society and the African Association for Remote Sensing of the Environment. RSLab is involved in the “5th Advanced Training Course in Land Remote Sensing” organized by the European Space Agency (ESA) from 8-12 September 2014 in Valencia, Spain. Prof. Bruzzone will give theoretical and practical lectures on “Multitemporal Analysis”. IEEE Geoscoience and Remote Sensing Society in India. Nicola Falco (PhD student @RSLab) is a recipient of the Recognition of IEEE Geoscience and Remote Sensing Letters Best Reviewers in 2013. Prof. Lorenzo Bruzzone is included in the ranking of the top 10 international scientists in the field of remote sensing. The ranking has been published in the international scientific journal “Scientometrics”and has been based on a bibliometric research for the period 1991-2010. The analysis considered 14.384 research institutes working in the field of remote sensing. The top positions in the ranking includes scientists from the most prestigious international universities and research institutes (e.g., University of California-Berkeley, Stanford University, NASA). Prof. Bruzzone is the European scientist with the highest score in the ranking. See here for more details. Prof. Lorenzo Bruzzone has been nominated in the Solar System Exploration Working Group of the European Space Agency for the period 2014-2016. This working group provides science advices to support the work of the Directorates of the agency. See here for more details. August 2013 – Interview of Lorenzo Bruzzone at the SBS Radio (Australian National State Radio) on the Rardar for Icy Moon Exploration (RIME) for ESA JUICE mission. For more information go to SBS website or listen to the full interview here.